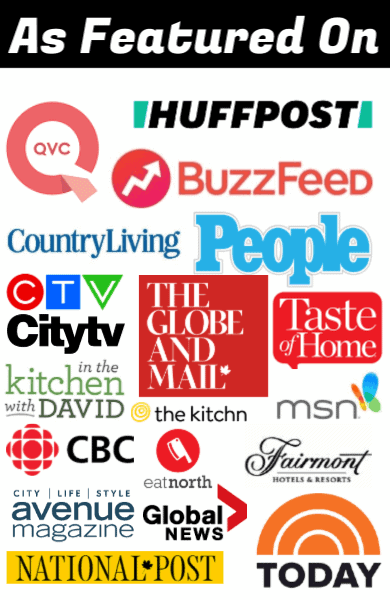 While trying to find a good recipe to use, or even just get some idea to set me on the right path, I made a discovery. Most red wine/bacon recipes are based upon what is written by the master of French cooking herself, Julia Child. But what came first, the searing of beef in bacon and then braising for hours in a red wine/beef stock base, or Julia? 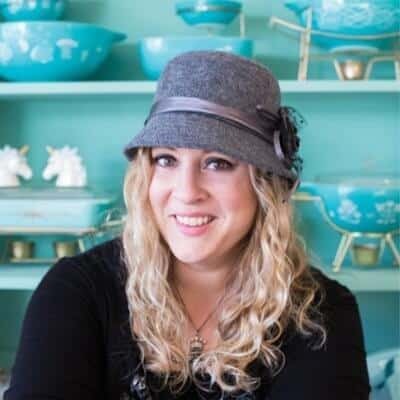 No matter which, I find that I cannot ignore the fact that credit is due, the woman who taught America to cook was the one who made it mainstream in the most famous of famous cookbooks. But since I am not in fact making Boeuf Bourguignon a la Julia Child, I only used her base of red wine and beef stock and the technique of browning the beef in bacon fat. Short ribs are the chuck steak of the ribs world. 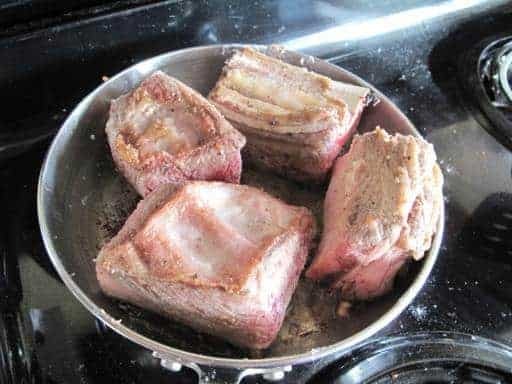 They take a lot of simmering, but when they are done, holy smokes, they fall off the bone and into your mouth as delectable, meaty little bites of happy. Take your bacon, slice it up, and throw it into a frying pan. 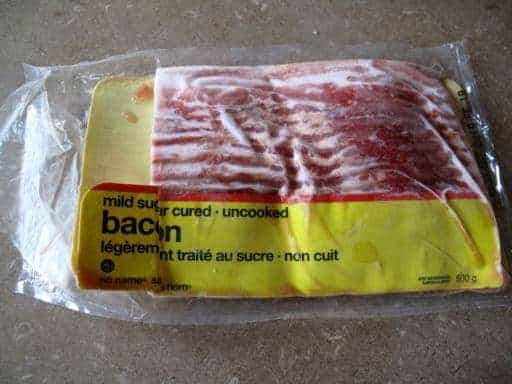 I used the same pack of bacon that I keep frozen for my “taste” cooking, where I just chop off an inch and a half and use that for flavoring a dish. 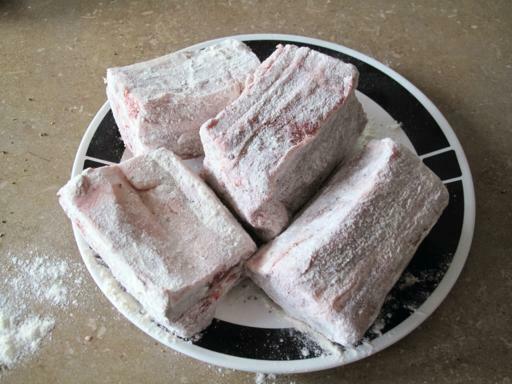 Two or three slices chopped up should do the trick, you need fat to fry the ribs in. 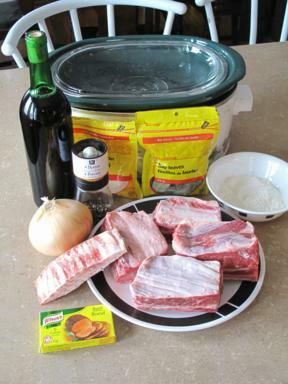 Put 1 3/4 cups of the red wine, one cup of beef broth and two bay leaves in the crock pot and start it warming. You can also braise these in the oven for 2-3 hours, but I don’t ever have 3 hours to sit at home waiting for something. The crock pot takes a good 5-6 hours on high (I did 8 hours on low temp and these literally melted in my mouth they were so tender). Sprinkle the garlic and pepper on the ribs. ..then fry them up it the bacon grease until they are browned on the outside. Place them in the crock pot. Take your onions, and quickly fry them up in the leftover grease in the pan. Once they are cooked, take that last 1/4 cup of wine and use it to deglaze the pan and get all the good brown stuff off the bottom. Once that is done, throw the mixture into the crockpot. Cover and cook for 5-6 hours on high, or 7-8 on low. The meat will fall right off the bone when done properly. 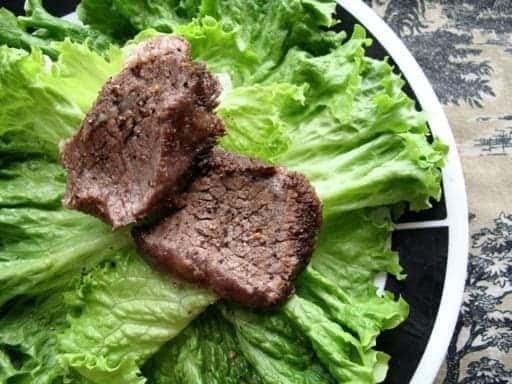 These are amazing with mashed potatoes, rice, just about anything you can think of. Amazing, melt in your mouth short ribs. Take your bacon, slice it up, and throw it into a frying pan. I used the same pack of bacon that I keep frozen for my cooking, where I just chop off an inch and a half and use that for flavoring a dish. 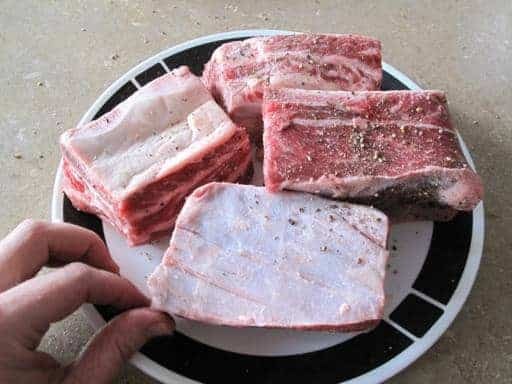 Two or three slices chopped up should do the trick, you need fat to fry the ribs in. 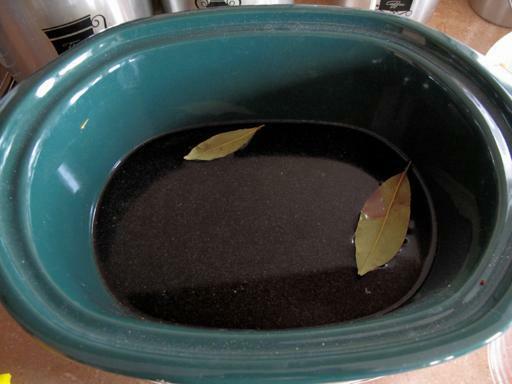 Put 1 3/4 cups of the red wine, one cup of beef broth and two bay leaves in the crock pot and start it warming. You can also braise these in the oven for 2-3 hours, but I don't ever have 3 hours to sit at home waiting for something. 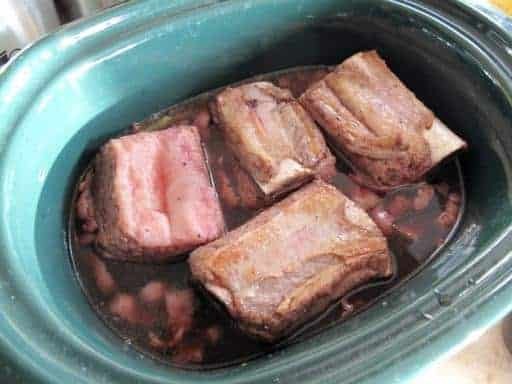 The crock pot takes a good 5-6 hours on high (I did 8 hours on low temp and these literally melted in my mouth they were so tender). 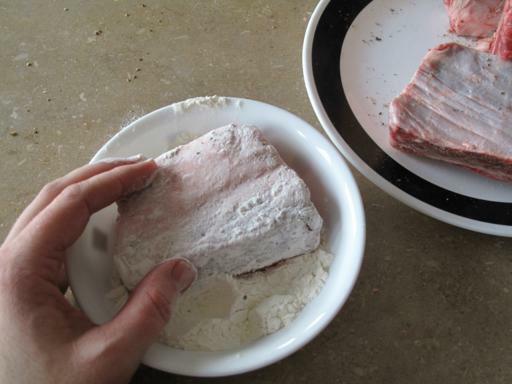 Cover the ribs in flour ¦then fry them up it the bacon grease until they are browned on the outside. 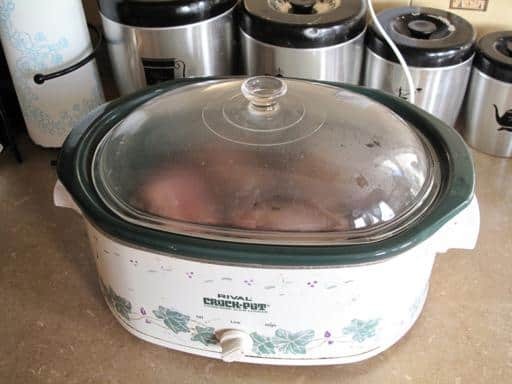 Place them in the crock pot. 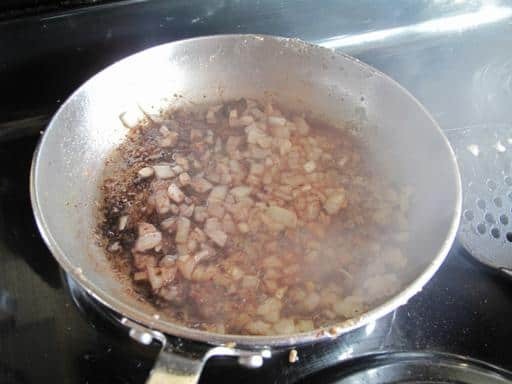 Take your onions, and quickly fry them up in the leftover grease in the pan.Once they are cooked, take that last 1/4 cup of wine and use it to deglaze the pan and get all the good brown stuff off the bottom. You should brown the ribs to a much darker color to develop a deeper richer fuller flavor for your broth.